Description: This USP ELITE in .45 ACP comes with German manual, two 12 round magazines, sight key, cable lock and keys to the HK case it comes in. 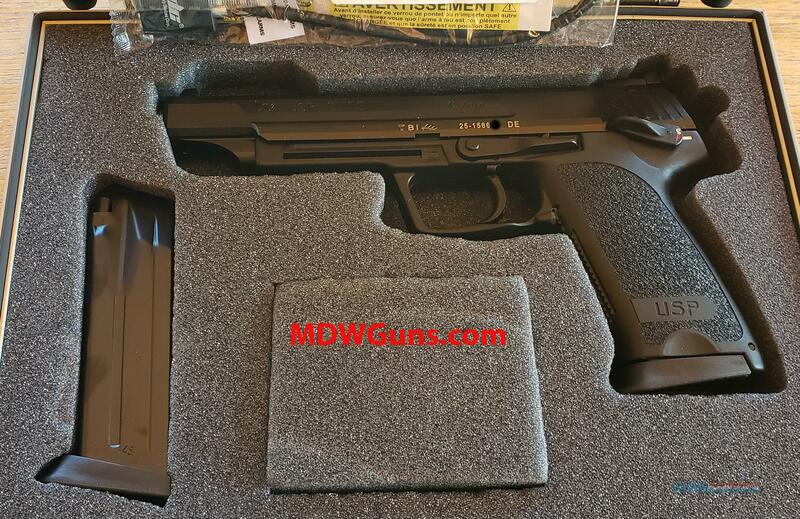 This is the best sport pistol HK at this time offers. This is a MDW Guns import and is marked as such on the dust cover next to the serial number. Please feel free to call or write with any questions.